As you might already know, yesterday we celebrated the launch of Persnickety Clothing spring 2015 Forget Me Not collection. The first one of the four spring collections, Forget Me Not is bold, fresh and bright. 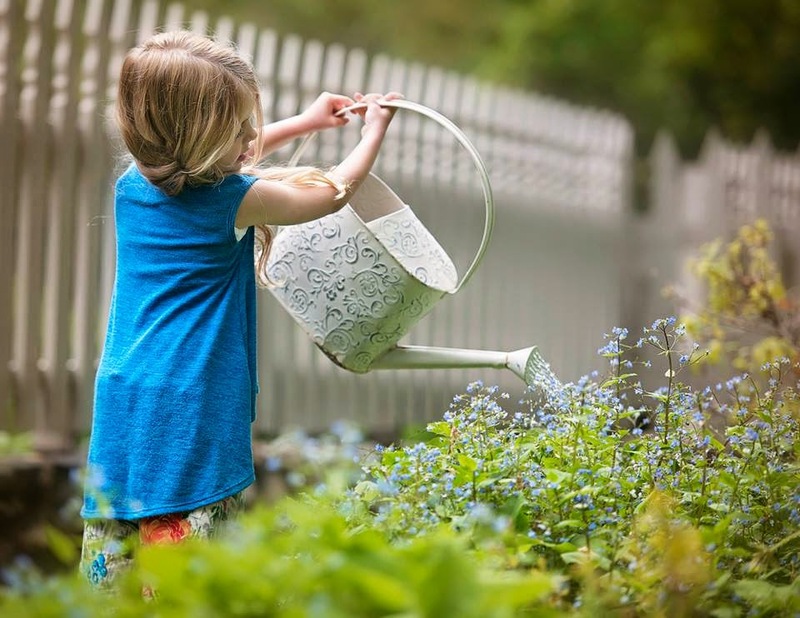 Inspired by blooming flowers, abundant gardens and fresh spring breeze, Persnickety forget me not features vibrant colors, beautiful floral prints and, as always, exquisite details Persnickety Clothing is known for. While we and our customers loved every outfits from this stunning collection of girls boutique clothing, there were definitely favorites. 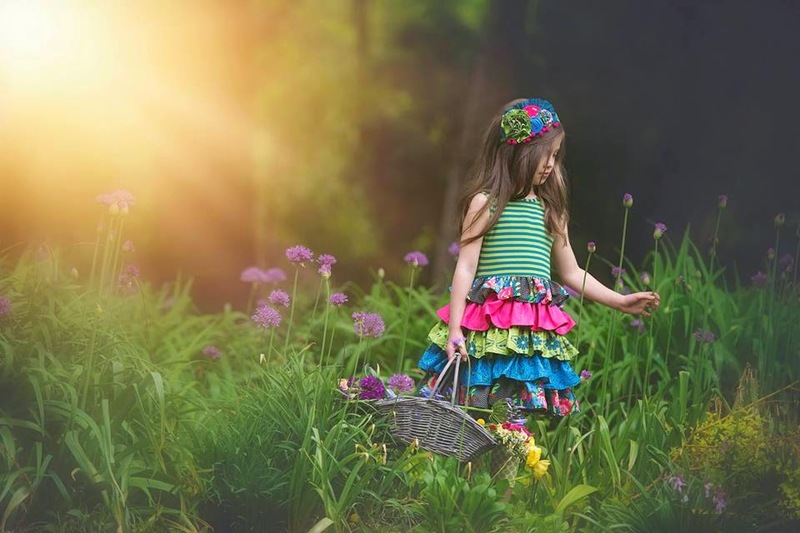 In this post I will highlight 5 top-selling looks from Persnickety Spring 2015 Forget Me Knot collection. Here we go. 1. 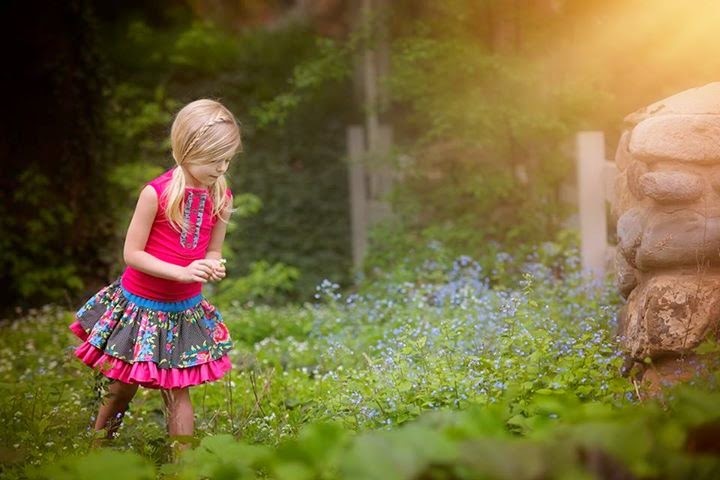 The absolute favorite was Persnickety Forget Me Not Rose dress and Felicity shorts in green. Rose tunic is one of the most popular styles by Persnickety. 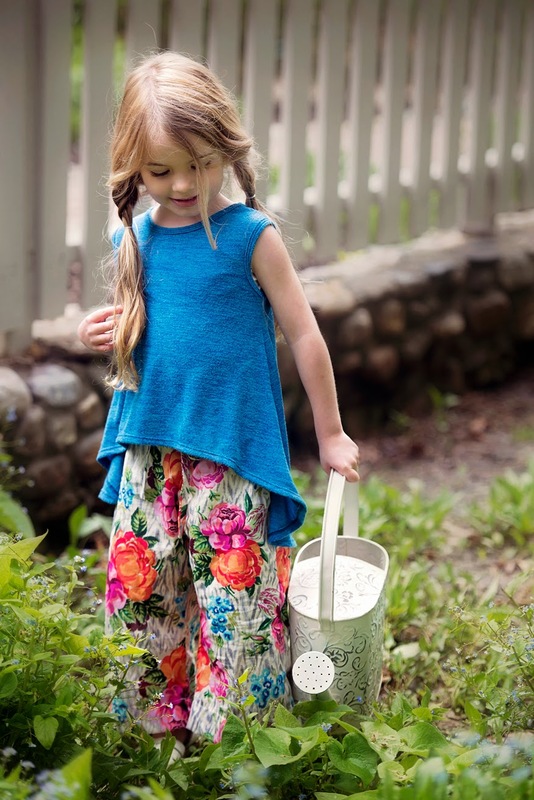 Featuring oversized bow in the front, bright - and soft - blue fabric and beautiful floral print, Persnickety Rose Tunic is a must-have for your stylish girl. 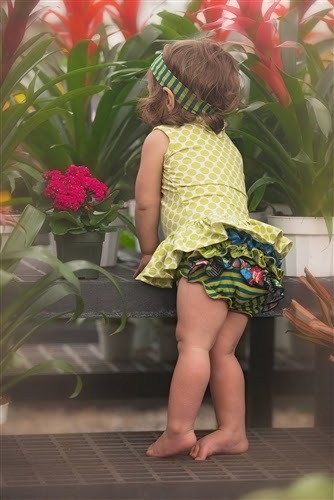 Felicity shorts have three rows of ruffles and add a nice finishing touch to the outfit. Please know that Rose dress runs more like a tunic and requires some sort of leggings or shorts under. 2. 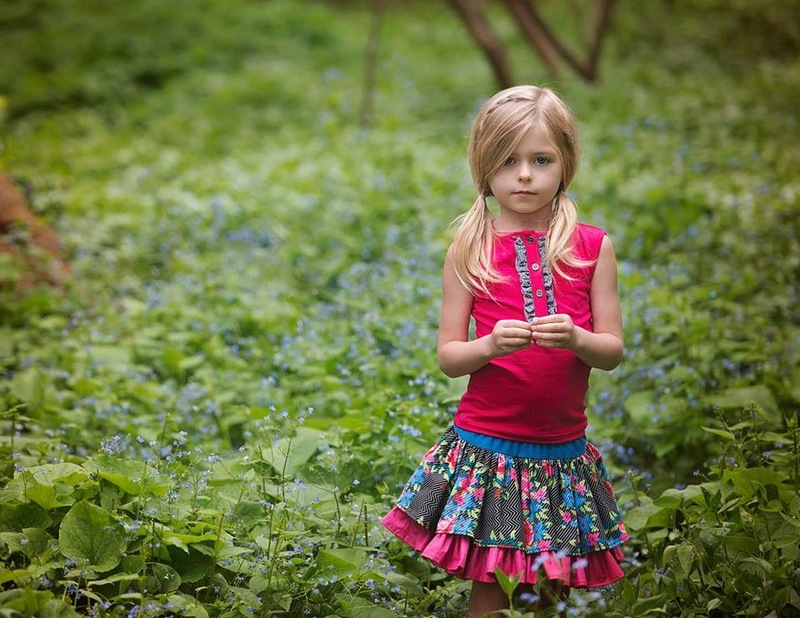 Second place goes to Persnickety Forget Me Not Charlie Tank and Lily Skirt. 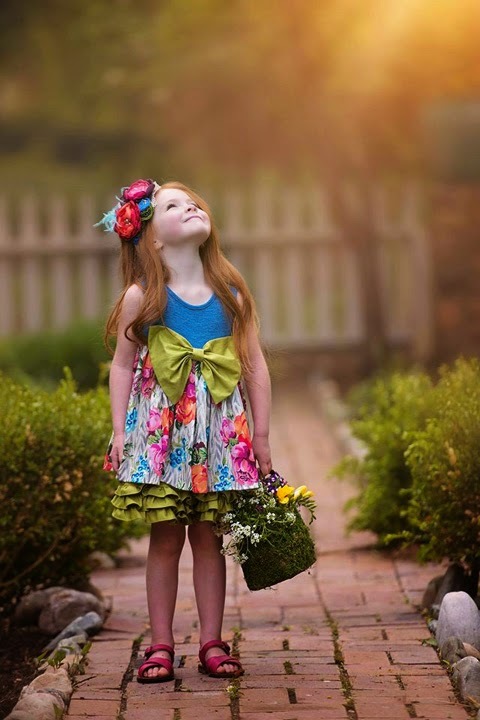 This cute looks is bold and girlie and will look cute for 4th Of July celebrations. 3. The next one on the list is Persnickety Forget Me Not Lou Lou Top and Tillie short combo. This outfit is perfect for everyday wear when you want your girl to look cute yet be comfy. 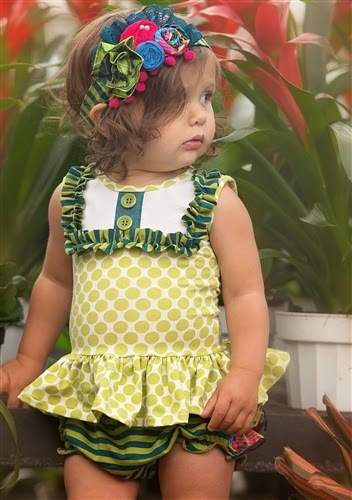 I foresee lots of play dates and fun in the sun in this adorable Persnickety outfit. 4. My personal favorite, Persnickety Forget Me Not Blue Juliet top and Beach pant ensemble, is your go-to outfit when you are looking for absolute comfort and style. The top is perfect for hot summer days because of its a-line flowy silhouette and lightweight fabric. Beach pant is also very lightweight and has so much pop with its beautiful floral print. 5. 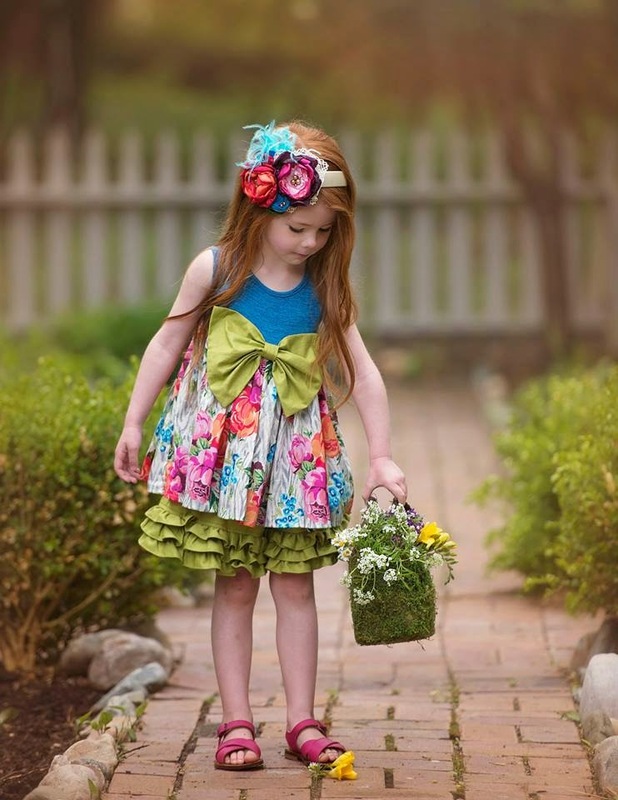 Last but not least, Persnickety Forget Me Not Macie Jane dress - classic style from this girls boutique clothing line. 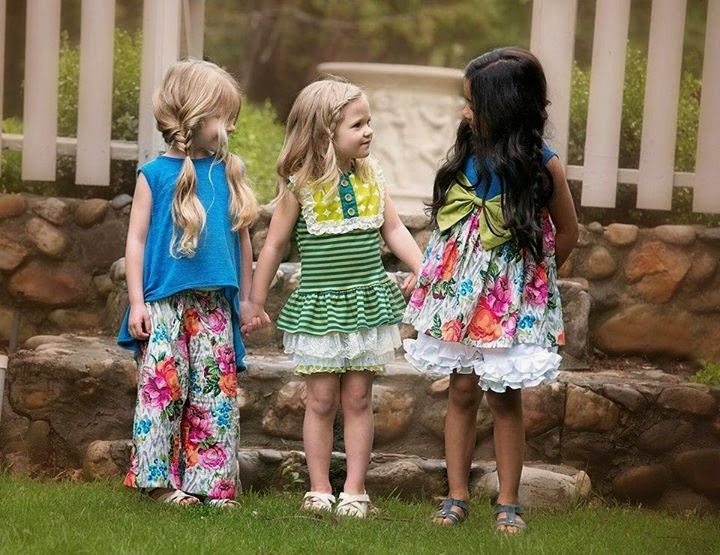 Featuring rows of full ruffles - each made from a different fabric, it is the ultimate spring dress. 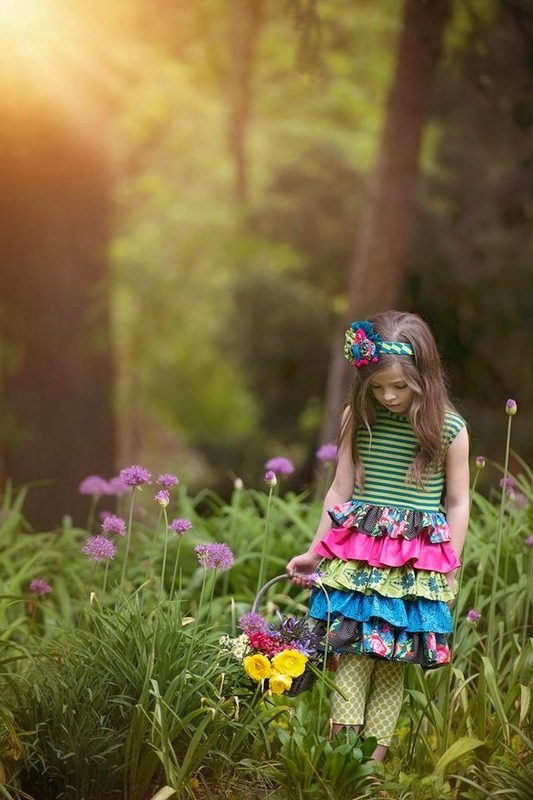 Bright, unique and feminine, it is sure to become one of your girl's go-to dresses. Curious to know what sold best for the baby? Baby by Persnickety Clothing is also one of our customers' favorite collection and the top seller from our baby clothing boutique. Since it is much smaller, I will highlight two looks that stole the show. Baby by Persnickety Lou Lou Peplum Top and Diaper cover was the hottest-selling look while adorable Paisley dress took the first place. 4. 15% down layaway option, code MLJPaymentPlan; 2-8 weeks to pay off the balance. Learn more about MLJ Easy Payment Plans (15% down option). Shipping is free on orders of $50 in the US and $79 in Canada. 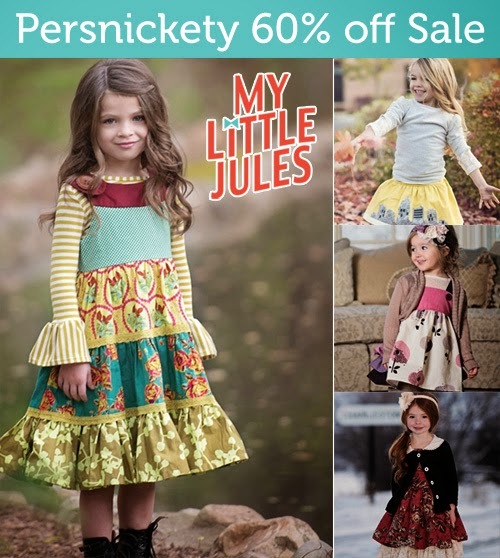 While you are there, don't forget to check out Persnickety Clearance Sale to save 60% on all 2014 styles. Woo-hoo!